It can be expensive making your home or business conform to local building codes. Ensuring a building does not get blown down in a storm or toppled in an earthquake can require costly materials. Adding confusion to the cost, states and many municipalities have unique requirements for builders and contractors. In Florida, Hurricane Andrew in 1992 was a wake-up call. The single costliest natural disaster in history at the time, Andrew destroyed 25,000 homes, damaged four times as many, and cost $28 billion in today’s dollars. It put 11 insurance companies out of business. 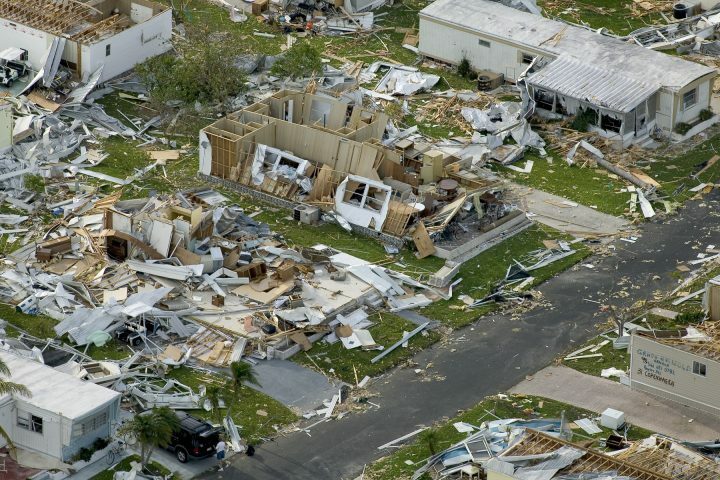 In response, Florida moved to adopt one of the strictest codes in the nation, the Florida Building Code (FBC), which became law in 2001 and is designed specifically for extreme wind storms like hurricanes. It applies to all new homes in the state. A new study analyzes the FBC and finds it saves far more than it costs to implement. An academic study worth reading: “Economic Effectiveness of Implementing a Statewide Building Code: The Case of Florida,” a working paper from the University of Pennsylvania, 2017. Study summary: The authors, led by Kevin Simmons — an economist at Austin College in Texas — use data from insurance policy claims and losses across the state between 2001 and 2010 from Insurances Services Office (ISO), a private actuary and statistical company serving the insurance industry. With data covering approximately 12.5 percent of all homes in Florida, Simmons and his colleagues review 593,663 property loss claims totaling over $8 billion across 10 years. Of course, the authors cannot recreate a megastorm like Hurricane Andrew to test the new FBC. But they use data on wind speeds and duration for 18 tropical cyclones (including hurricanes) between 2001 and 2010 to isolate the effect of the FBC. Finally, to measure the economic effectiveness of the FBC, they compare loss data across the 10 years with the cost of complying with the new regulations. Across the study period, the authors found that homes built after the year 2000 suffer between 47 and 72 percent less in losses than homes built before 2000. Better construction appears to reduce losses in two ways: by lowering the number of insurance claims and lowering the size of those claims. The FBC added a cost of approximately $1.66 per square foot, on average, to new homes under construction throughout Florida (in 2010 dollars). Since Florida’s average new home size is 1,960 square feet, this means the FBC increases the cost of building a home by $3,254, on average. Houses built to the FBC experience $10,093 less in damage within 10 years, on average. That means $3.10 is saved for every $1 invested in adhering to the FBC. Projecting over 50 years, and considering the effects of inflation, the authors find a benefit-cost ratio of 2.37 (meaning that $2.37 is saved for every $1 extra spent). In case there was any doubt, the authors found that, as expected, higher wind speeds increase losses to homeowners. The International Code Council (ICC) is a non-profit that develops the building code recommendations that often serve as the basis for states’ own codes. Massachusetts’s building code, for example, is based on the ICC’s 2009 International Building Code. Most state and local codes can be found online; Florida’s is here. The National Hurricane Center, run by the National Oceanic and Atmospheric Administration (NOAA), has the latest data on tropical storms as well as historical resources. The Florida Catastrophic Storm Risk Management Center at Florida State University helps the state respond to major storms. The Miami Herald’s coverage of Hurricane Andrew’s devastation, and how Florida’s building code had become too lax in the years running up to the storm, won the paper a Pulitzer Prize for Public Service Journalism. See the series here. For their model, the authors assumed that the wind hazard as measured between 2001 and 2010 would not substantively change over the next 50 years. But researchers project that hurricanes are likely to grow more violent due to climate change. Building codes can save electricity, a 2013 study in the Review of Economics and Statistics finds. A relaxation of coastal building standards before Hurricane Charley hit Florida in 2004 is linked to greater damage to homes near the coast, according to this 2013 paper in Land Economics. We have profiled research on community adaptation to climate change, predicting where the seas are rising fastest and estimating future hurricane damage. We’ve also published a tip sheet on housing-price data. Citation: Simmons, Kevin M.; Czajkowski, Jeffrey; Done, James M. “Economic Effectiveness of Implementing a Statewide Building Code: The Case of Florida.” University of Pennsylvania working paper, 2017.